Many Americans provide daily assistance to elderly family members or friends so they are still able to live in their homes. This can be a physically and mentally demanding job. Respite care provides relief for the caregiver. It takes some of the burden and stress away, whether it’s for a few hours a day or a few days a week. Getting respite care is important for your health and for your ability to continue to provide care for your loved one. Respite care includes a variety of services such as home-based care, skilled nursing, home health, residential programs and companionship. Many people need help even when they are able to stay at home. Respite care is growing in importance today because more seniors are living longer, remaining healthy longer, and want to remain in their homes. Those that step in to provide ongoing care are respite workers. They can be an incredible benefit to the entire family including seniors who need different levels of care. Respite care provides relief for the caregiver. In many families, an elderly person is reliant on the care of his or her family. In some cases, this may be a minor amount of care – such as helping around the home. 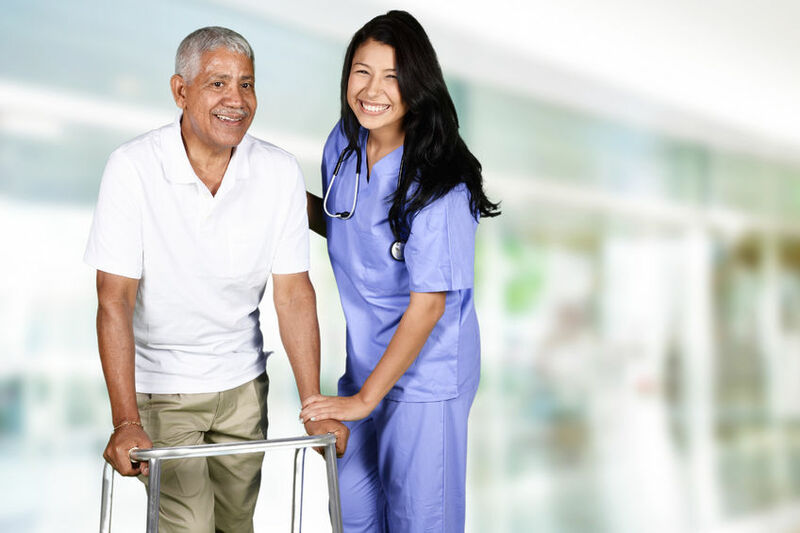 In other situations, the care is comprehensive involving all levels of personal management. Yet, family members get tired, too. They need a break. Sometimes they need help on a day to day basis. In other cases, they need someone who can provide care for a period of time while they travel or just take some time to themselves. Respite care workers provide this type of support. Respite workers have the unique ability to help reduce the stress and anxiety that a caregiver has. This may not be all of the time, but it provides an important break for the individual, helping to ensure he or she continues to maintain their mental health. Respite care is flexible. It fits the needs of the individuals involved. That’s important because many family members simply do not know there is help available to them. Respite care can include as much or as little care as possible. It can be available at various times of the day and as frequently as desired. This type of flexibility helps caregivers to maintain the best level of care for their loved one without sacrificing their own mental health for it. What Services Do Respite Providers Offer? One of the unique facets of respite care is that it provides care designed for the individual situation. This means that family members can choose when to use the service, how much service to use, and what type of care they need. For example, if a family is taking care of an elderly parent, but the family needs to go away for the weekend, respite care can step in and provide 24 care for the elderly parent. On the other hand, a family member may need to work different hours, and the elderly parent cannot be left alone each day during that time. Respite care can step in to fill in on a daily basis to cover that needed help. The types of services provided depend on the circumstances of the situation. Elderly individuals may need constant care and supervision or may not need much care at all. Again, the respite workers can provide for just about any need. Respite worker services can include providing personal care such as help with dressing, feeding, bathing, toileting, and grooming. They can also provide services around the home such as preparing meals, cleaning up, washing clothing, and handling shopping. Most often, they do not provide medical care as a standard. However, it is possible to obtain respite workers with skilled care licensing. This would allow the individual to provide assistance with physical therapy and medication. An important part of respite care is providing one-on-one attention and care for the elderly person. This includes providing attention to their needs such as holding a conversation or playing a game for the individual. Most will also spend time walking with the individual and meeting their day to day mental needs. Respite workers can help those who are suffering from dementia or other forms of mental health concerns. They can also provide a fill-in like service for those who are otherwise healthy.